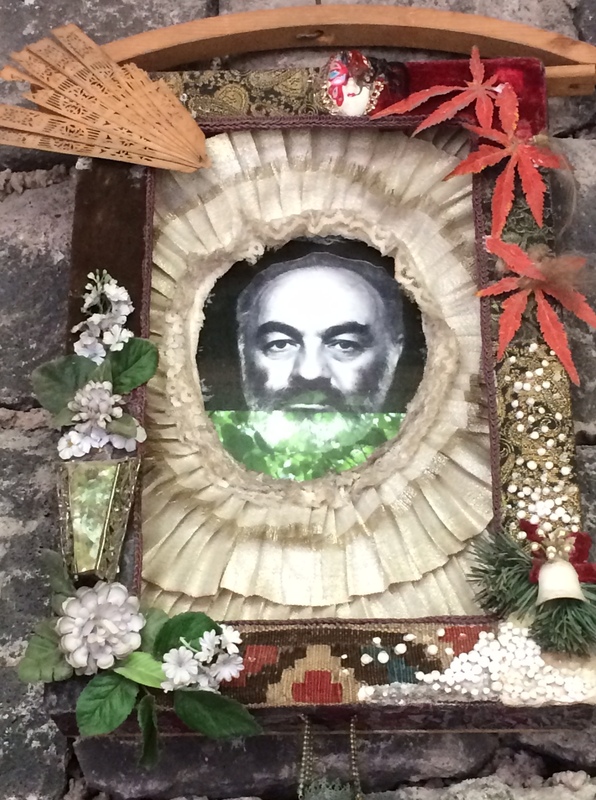 Today I fell in love with Sergey Parajanov. Sergey Parajanov is Armenia’s most important filmmaker and artist, praised by Fellini, Bunuel and Godard, and many others. 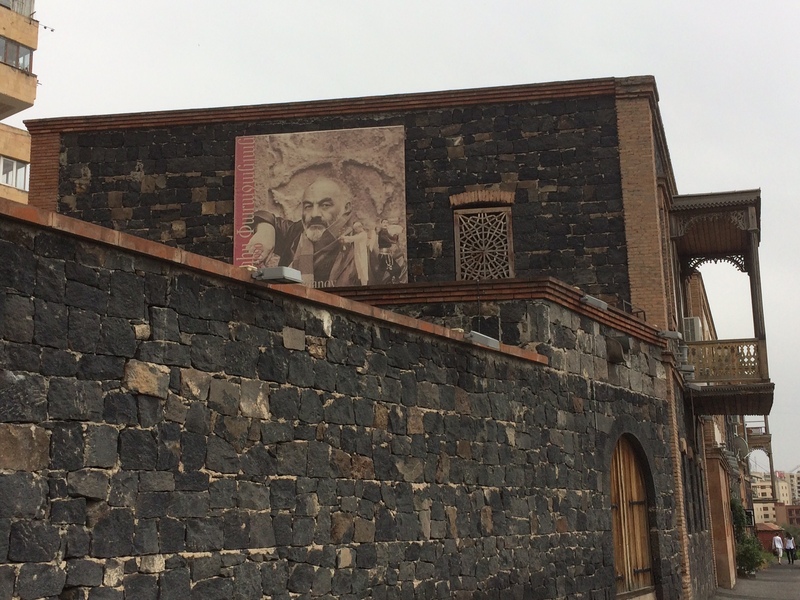 He is no longer with us but I got to know him a little by visiting the Parajanov Museum in Yerevan. 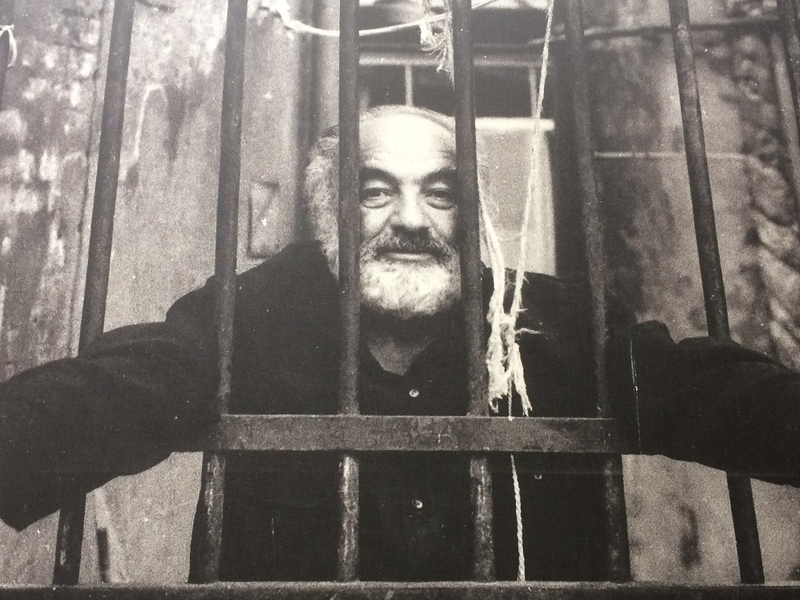 Parajanov was born in 1924 in Armenia and raised next door in Georgia when both countries were under the control of the Soviet Union. His films and art are visually rich and full of metaphor and allusion. 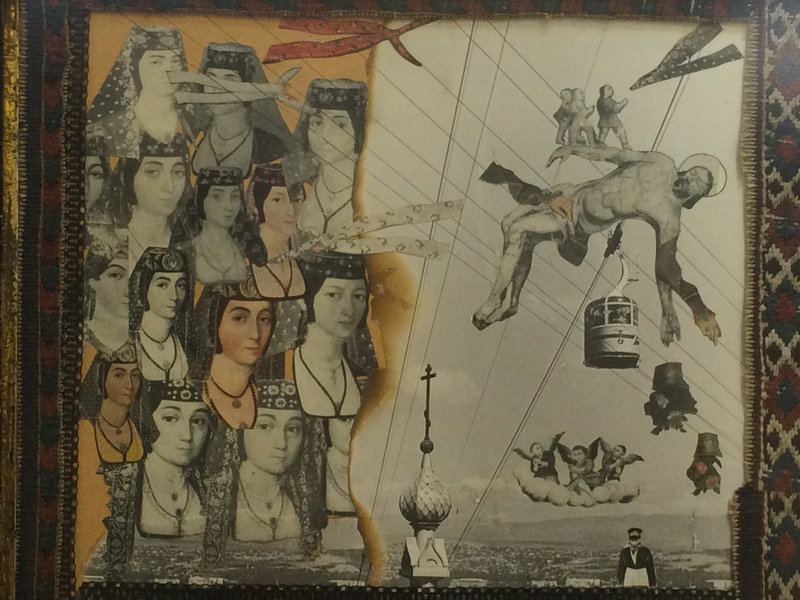 His most famous work, The Color of Pomegranates, is about the Armenian poet, Sayat Nova. The Soviets imprisoned Parjanov three times for his subversive views and alleged homosexuality. 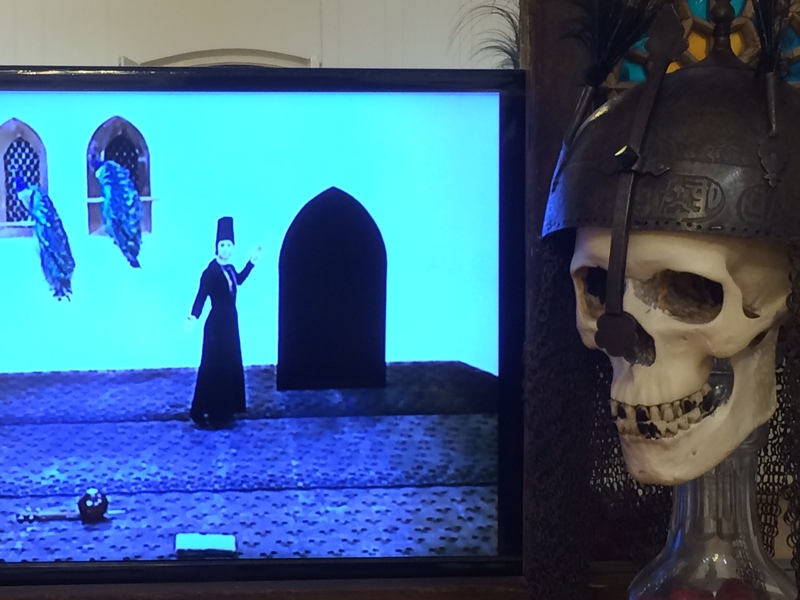 The Parajanov Museum is fun because Parajanov had such a wild and playful imagination. I noticed that he seemed quite focused on heads so here are a bunch of head shots that give you a sense of the breadth of his style and passion. 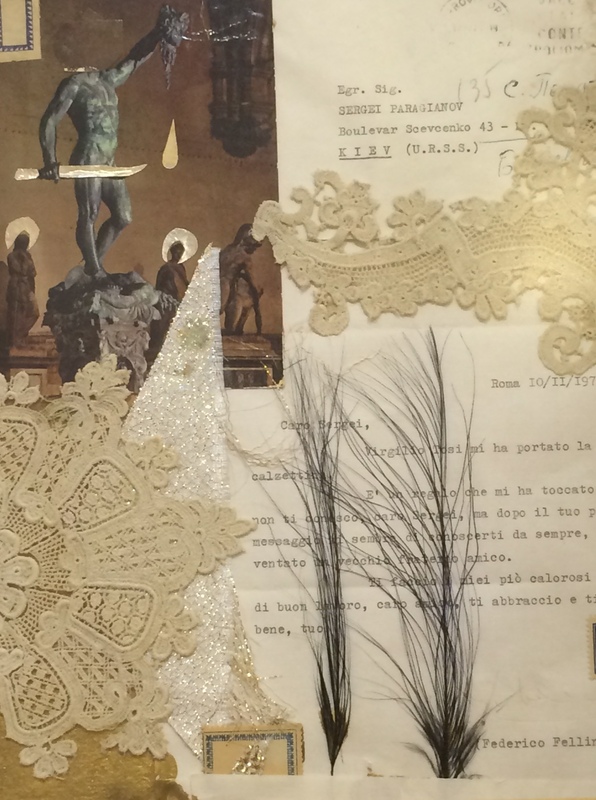 A letter to Parajanov from Fellini that Parajanov made into a collage showing Perseus with no head. No head instead of a head. 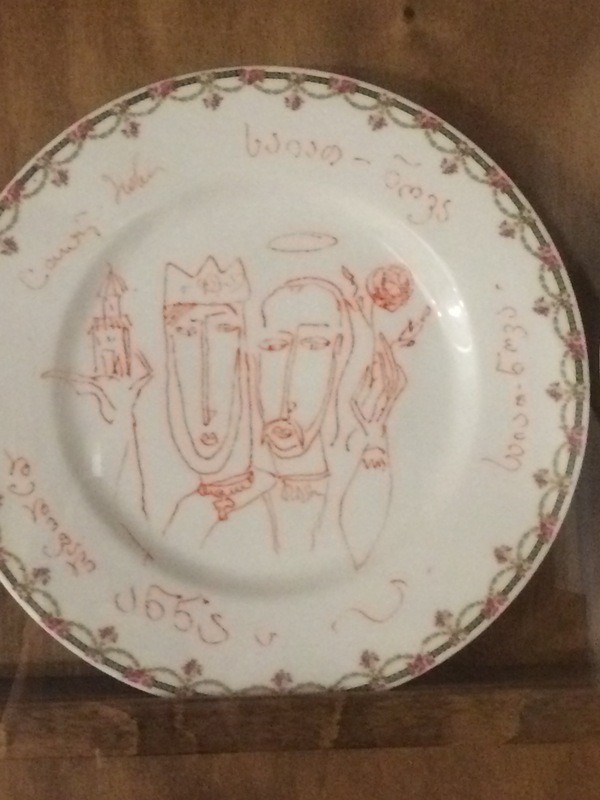 This plate reminds me of an artist named Desimone who was also influenced by Picasso. 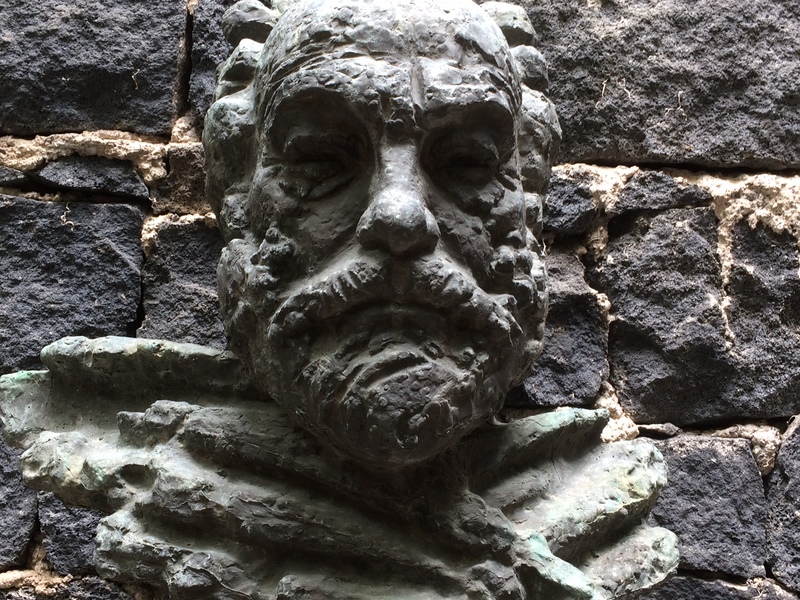 He carved a likeness of his own head into the wall of his court yard. 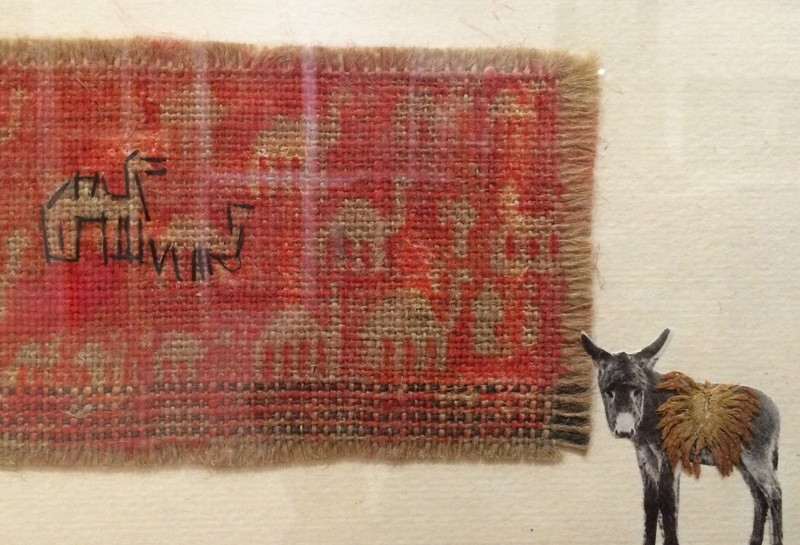 Here is a piece I liked because of its reference to Armenian carpets and animals, although the heads are incidental. In my grandparents’ house, a common expletive during wild games of tavli (backgammon) was “esh,” which means “donkey” and a bad word. Very interesting account of someone I had never heard of before. 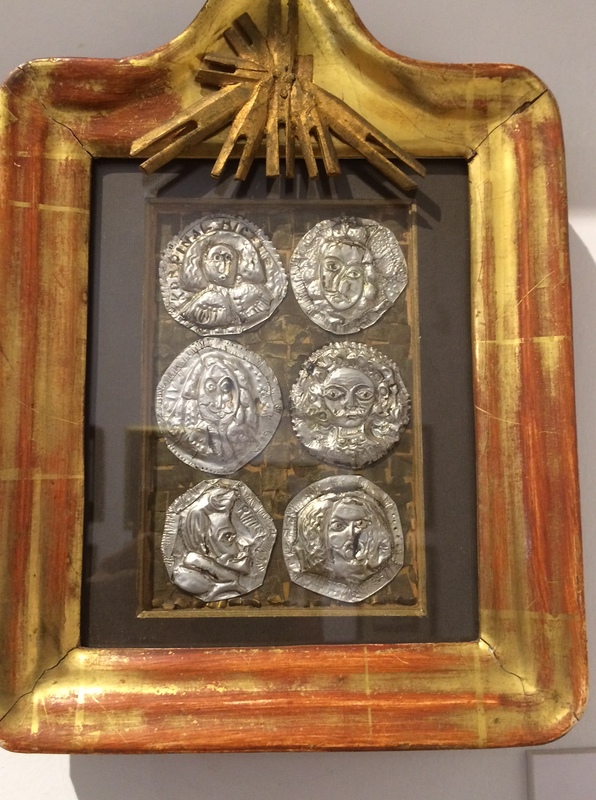 Glad you’re out and about exploring the wonders of Armenian history and arts! I can see why you are enchanted, Kim. 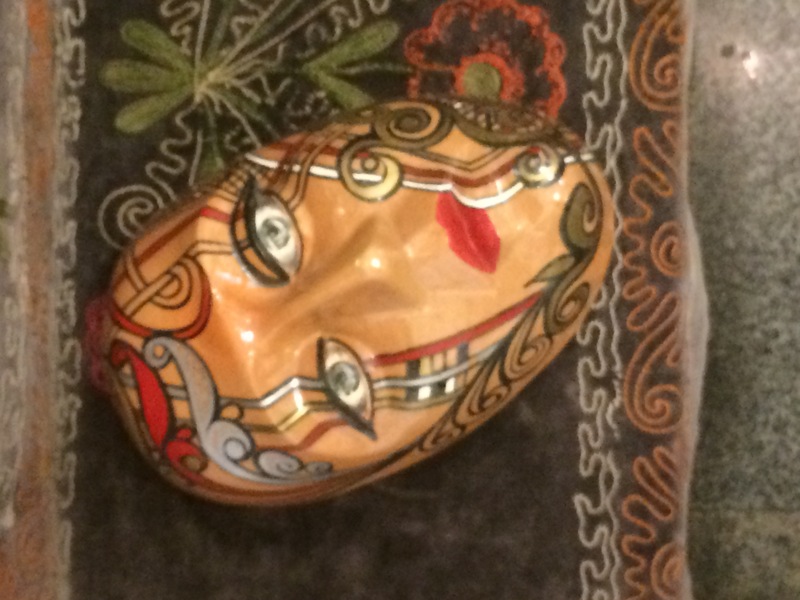 What an interesting life and a fabulous face! 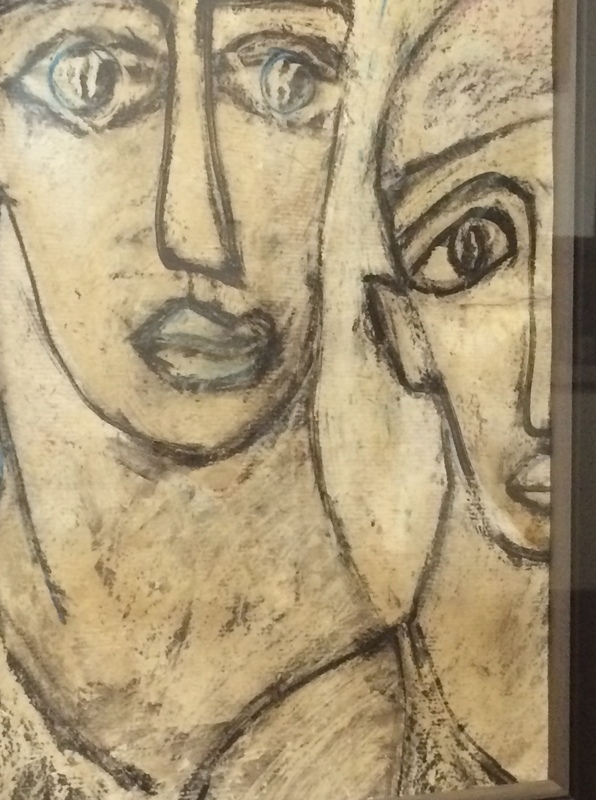 I stared at his self-portrait for a long time, wondering how I would create a collage for my own self-portrait.